From a primer on the Harlem Renaissance to a collection of essays about Michel Foucault, Cambridge Companions are often a great way to begin researching a topic. Each Companion volume provides a variety of scholarly viewpoints on a major theme, author or time period, written by experts with a student audience in mind. The essays are generally accessible and easy to read, and they serve as an excellent launching point for any humanities research project. Even better, they’re available online for free. Falvey subscribes to The Cambridge Companions Complete Collection, which allows Villanova University community members full access to Cambridge Companion materials. This includes Cambridge Companions to literature, philosophy, religion, classics and culture. Try searching the library catalog, VuFind, to get an idea of the wealth of topics covered. 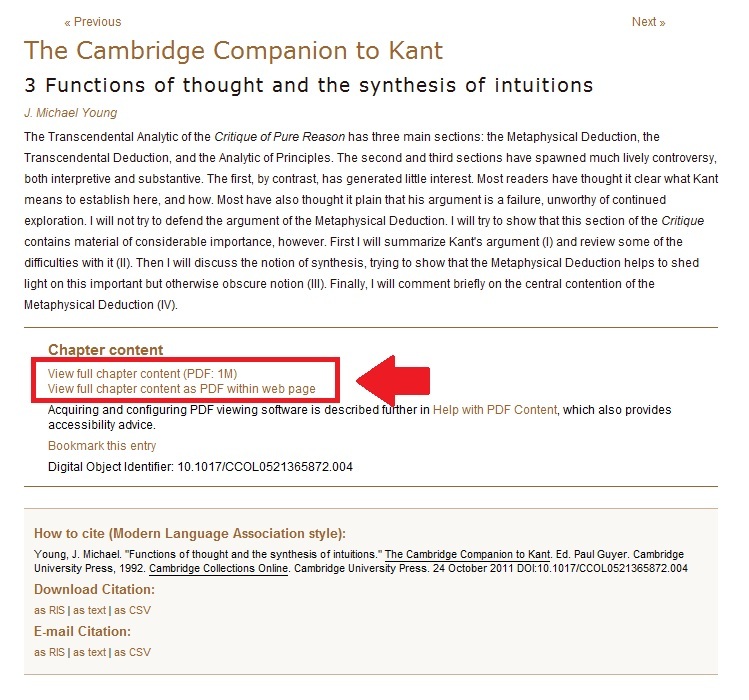 You can also search the Cambridge Companions Collection directly here. To access the full online version, click the “Online version” link in the record. This will take you to the Cambridge Collections website. Look for the “Table of Contents” box on the right side of the page. Each chapter has its own page, where you can access a PDF of the full essay. Citation information is available on this page as well. Find other library Quick Tips by clicking here. Questions? Suggestions? Let us know in the Comments below. This collection just expanded to include the Cambridge Companions to Music collection, ranging from Bach to the Beatles.